Mr. Theurer is president of ARUP. Previously, he served as CFO and Sr. Vice President, Finance, at ARUP. He is a certified public accountant and has more than 20 years of experience in accounting and more than 18 years of experience in health care. 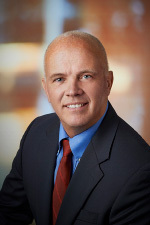 He is a member of several societies, including the American Institute of Certified Public Accountants and the Utah Association of Certified Public Accountants.